You can now play Filurk right here on the website! Just remember that the online demo isn't as pretty as the coming iPhone version. 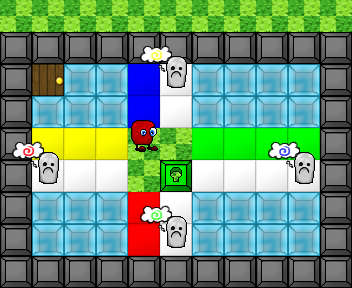 Also, not all levels are playable, but we'll add more later. If you sign in with your Google account, your solutions for each level will be stored, which is convenient if you want to play more than once (which everyone of course will). If you don't have a Google account, or don't want to log in, that's fine too. Now go ahead and start playing!